Non-governmental organizations are discussing a boycott of the IMF and World Bank meetings in Singapore to protest the city-state's hardline stand against activists, organizers said Wednesday. "We are still in the process of discussing it. We will make a decision by tomorrow afternoon or tomorrow night," said Lidy Nacpil, international coordinator of Jubilee South, one of the groups calling for the boycott. She said a boycott would apply to the official programme of seminars and meetings between the International Monetary Fund and World Bank and groups critical of the institutions' policies. Nacpil said the boycott would be a protest against the blacklisting by Singapore of 28 anti-globalisation activists even though they had been accredited by the IMF and World Bank. Police cited security reasons for the blacklist. Activists are also protesting against the Singapore government's refusal to waive a long-standing ban on outdoor protests during the IMF and World Bank event. At least 14 NGOs have signed a draft statement calling for the boycott, and activists said they hoped for the number to grow. 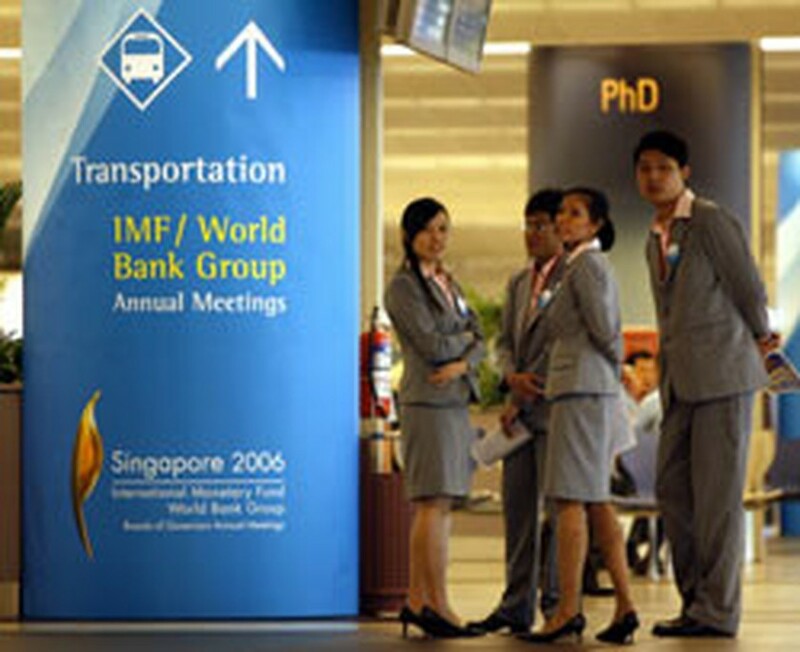 "In solidarity with those denied entry into Singapore and denied the exercise of their fundamental rights to freedom of expression and association, we will stay away from all meetings and seminars in the official programme at the World Bank and IMF 2006 annual meetings in Singapore," said the draft statement published in The Straits Times newspaper on Wednesday. "We want to make an announcement (of the boycott) when we have a critical mass. The number of groups is expanding. We want it to be widespread in terms of geographic coverage and to also include many of the major players in the civil society community," said Nacpil by telephone from Jakarta. She added that "this is not a boycott of Singapore but a boycott of the IMF-World Bank programme." Wilson Fortaleza, vice president of the Philippine-based Freedom From Debt Coalition whose four accredited members were among those blacklisted, called the IMF and World Bank "helpless and toothless" in the face of the Singapore ban. He said the NGOs whose members have been blacklisted are in talks with those allowed into Singapore over heeding the boycott. Two Filipino anti-globalisation activists were deported Wednesday after trying to enter Singapore ahead of the IMF and World Bank meetings. Chona Ramos and Bobby Diciembre of the International People's Forum (IPF) were approached before they could reach the immigration counter at Changi Airport on Tuesday afternoon. They were held at airport on Tuesday night and deported to Manila on Wednesday morning. 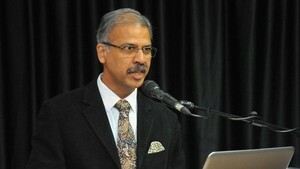 The two were not among the 500 activists accredited by the Fund and the Bank to attend the Singapore meetings this week. They were passing through Singapore to the Indonesian island of Batam, 45 minutes away by ferry, where anti-globalisation activists are to hold conferences to air their criticisms of the IMF and World Bank. Diciembre told AFP that he asked officials why they had been refused entry. He said he was told they were "ineligible" for a visa under immigration rules.